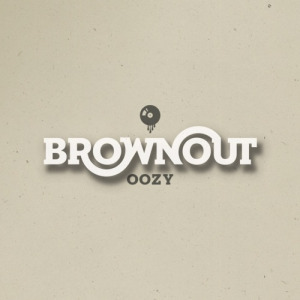 Latin funk band Brownout recently released Oozy, one of the most exciting Latin music albums in recent weeks. Brownout’s bass player Greg Gonzalez reveals details about this impassioned band. Brownout has been called the alter ego of Grupo Fantasma. How did the band come about? Brownout formed out of Grupo Fantasma originally and was an attempt to play funk music that had always appealed to us. Previous to Grupo Fantasma we honed our skills playing funk jams at college parties and such, vamping on funk grooves and developing our sound. Over time we’ve recorded three albums and toured on our own and as a result our sound has developed to become its own entity with different personnel and its own unique musical identity apart from Grupo Fantasma. How would you differentiate the sounds of Brownout and Grupo Fantasma? Brownout originally was an instrumental band and we played a funkier more uptempo style of music with more improvisation. The blend of uptempo percussion heavy funk and musical improvisation appealed to bboys as well as pure music enthusiasts. Over time we’ve developed that sound with less emphasis on Latin music and more emphasis on funk, psychedelia and a gang vocal style we affectionately refer to as “brocals”. We’ve expanded our musical palette to include slow jams, Afro-Latin segues and cinematic funk soundtracks. How do the musicians balance their participation in two bands? It’s a big band and we all play in a lot of bands in addition to these two. Austin (Texas) features a lively music community and we’ve been fortunate to work with many talented artists. Sometimes there’s some juggling involved and it definitely requires flexibility and the ability to wear a lot of different hats, sometimes simultaneously. Why do you think there is a renewed interest in Latin funk music? I think the internet has allowed people to access music that previously they wouldn’t have been aware of. This access has given people the freedom to browse and discover music based upon the recommendations of friends and tastemakers rather than the corporate interests of mass media outlets. Now people can experience a huge volume and variety of music with immediacy. The public’s listening patterns and musical palettes are becoming more refined. Where is Brownout more popular? Wherever people appreciate good music. Our albums have been well received nationally and internationally we’ve gotten positive responses from fans as far away as Japan and Poland. We haven’t toured very much but we intend to do more in the future. Brownout is known for its psychedelic sound effects. Are you emulating these sounds with modern instruments or are you also using vintage equipment? We’re not dogmatically attached to any one technique. We’ve used everything from vintage gear to computer emulations and programming. If it sounds good it’s valid. How does the composition process work? Adrian Quesada, Francisco “Beto” Martinez and myself (Greg Gonzalez) wrote all of the songs on our latest album “Oozy“. The bands trombonist Mark “Speedy” Gonzalez did all of the arrangements and contributed some excellent horn parts. Life. Family. The music of our influences, inspirations and peers. Having bills to pay. How’s the Latin music scene in Austin now? There’s a lot of great new bands and a great Latin music festival called Pachanga. It’s definitely changed with many long tenured local clubs closing down or relocating all over town. It remains to be seen how this fragmenting of the entertainment district will affect the Latin music scene. There’s so many great artists we’d love to collaborate with. We have very diverse tastes and influences. You gotta diversify your bonds to survive in the music business. We just finished a West Coast tour and are planning a return out there this summer. We’re also going to be backing up the GZA in Brooklyn and at Bonaroo. Hopefully we’ll get up to the East Coast this year as well. Are you working on new projects? We all work on a lot of different projects individually and in other configurations or with other bands. In spite of this busy schedule, we intend to hit the studio again to try and start recording some material for our next release. Hopefully at some point well get to make another video and last, but definitely not least, we’ll be backing up the legendary GZA of Wutang clan at Bonaroo this summer!